The bike stem is made of 6061 aluminum alloy, with 3D forging, T6 heat treatment and polishing, super strong and durable. It is a great accessory for your bicycle. 3D forged 6061 aluminium alloy, T6 heat treated and polished. 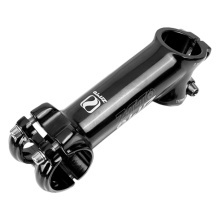 35 degree rise, fits 31.8mm handlebars. Great replacements for those old, worn down stems.